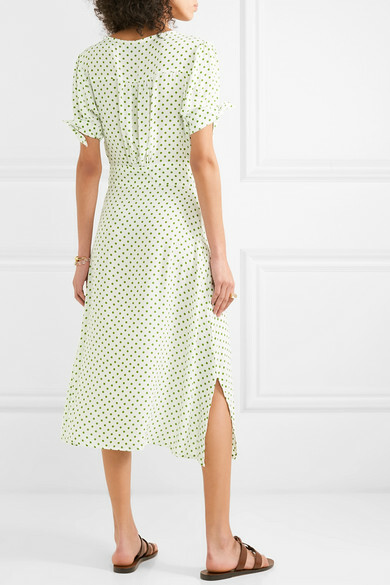 You'll definitely want to pack Faithful The Brand's 'Billie' dress for your next getaway. 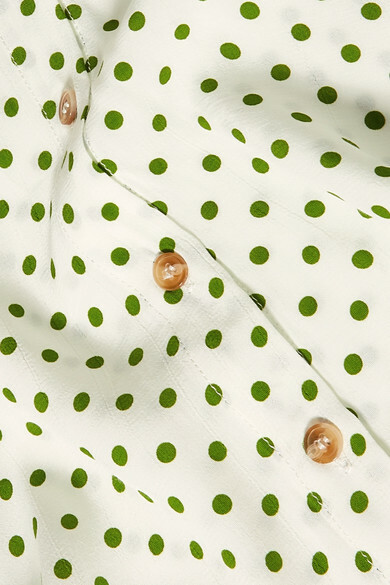 It's cut from lightweight crepe and hand-printed with green polka-dots. The short sleeves can be gently knotted, while the side slits add even more movement to the breezy skirt. Wear yours with barely-there sandals or flip flops. Shown here with: Cult Gaia Tote, Trademark Sandals, Tohum Bracelet, Laura Lombardi Earrings, Sophie Buhai Cuff, Alighieri Necklace.